At least two people have been killed and eight injured in a stabbing in the Finnish city of Turku, police confirmed. Finnish police do not rule out that the incident in the city of Turku is connected with international terrorism, but can not yet confirm that version, Seppo Kolehmainen, a senior police official, said Friday. Earlier in the day, several people were stabbed in the cetral area of Turku, Finland. One person has been apprehended. One of the victims is reportedly an old woman. Eyewitnesses also reported hearing shots in the area. Under lockdown in the center of Turku, several people injured possibly dead. Large police and ambulance presence. — Mr. Anttoni Numminen (@A_Numminen_Esq) 18 августа 2017 г. People are advised to avoid the area of alleged attack. — Tuomas Rimpiläinen (@TRimpilainen) 18 августа 2017 г. Conflicting reports suggest that the knifeman was either arrested or shot by police. — QCeee (@QCee_15) 18 августа 2017 г. The Turun Sanomat newspaper reported that at least one person was killed in the attack. According media reports, security at Helsinki airport reinforced after stabbings in Turku. — Feru (@Feru__) 18 августа 2017 г. The Southwest Finland Police Service said on Friday it was looking for more possible suspects in the multiple stabbings in the city of Turku. — Nicole (@nic120688) 18 августа 2017 г. 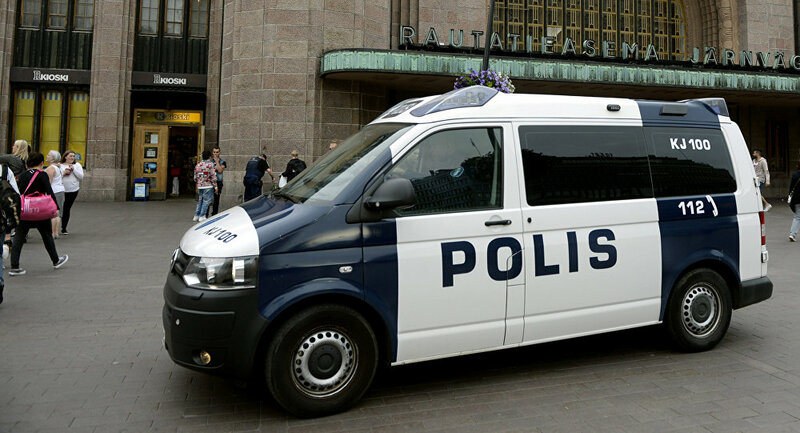 "The police is searching for possible more perpetrators in Turku. People are asked to leave and avoid the center of Turku," the police said.